Impaired Driving charge? Domestic Assault? Other criminal charges in Surrey? #200 - 10706 King George Hwy. Experienced in both BC and Washington State law courts in criminal defence · cross-border car accidents · DUI / DWI · personal injury · criminal law cases including: aggravated assault, attempted murder, criminal negligence charges. Practices as a barrister and solicitor in BC and as a Counselor-at-law / Attorney in Washington State, USA courts. Has a J.D. Juris Doctor / Doctorate in Jurisprudence from Washington State University & Master of Laws degree from the State University of New York. Dil is fluent in English and Punjabi. * Member of the Women Lawyer Forum. the corporate and commercial partner at Wilson and Rasmussen LLP and an experienced solicitor ... Her business law practice involves representation of many large, well-established firms, as well as new companies in and around the Province of BC. Andrea and her trusted and experienced assistant, Amalia, would be pleased to assist with your incorporation, commercial lending, leasing, or business sale/purchase transactions. Contact address: PO Box 158, 10688 King George Blvd. The best way to protect yourself and your rights is to contact a criminal defence lawyer immediately. Do not discuss your case with the police before you talk to us! We have successfully defended clients at all court levels in British Columbia. We bring a vast amount of compassion and experience to you and your case. While some lawyers practice in several legal fields, at Sicotte & Sandhu we focus solely on defending clients facing criminal charges. That is all we do and we've been providing extraordinary legal service to the Surrey area for well over 20 years." Criminal Defense Lawyer with over 30 years experience. "I have over 26 years of experience as trial and appellate counsel. My practice encompasses all levels of courts within British Columbia - Provincial Court, Supreme Court and the Court of Appeal." · Nursing Home Abuse; Sexual Abuse; Slip and Fall; Trucking Accidents; Wrongful Death. Member: Law Society of British Columbia; Canadian Bar Association. Lecturer, Public Legal Education Society of British Columbia, Vancouver, 1986-1994. Member, White Rock South Surrey Chamber of Commerce. -She also has considerable experience with family and business property division. "Don Porter has restricted his law practice to family law exclusively for the benefit of his clients." MOVING TO VANCOUVER OR VICTORIA? 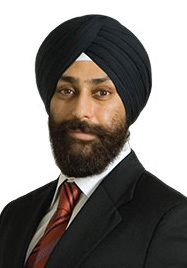 PERPINDER SINGH PATROLA, B.A., LL.B. He has advised private and public companies, large enterprises and start-ups, and Canadian and foreign companies. A business lawyer with international experience in Asia and North America with a focus on international business, corporate/commercial, finance and engineering/technology law. Alexandra's corporate and commercial practice focuses on companies entering or doing business in U.S. and Canada. Alexandra's experience includes formation of legal entities, shareholders, partnership and alliance agreements, mergers, sales and acquisitions of businesses, procurement, distribution, outsourcing and service agreements, financing, commercial leasing, corporate restructuring transactions. Alexandra's engineering/technology practice includes engineering and construction agreements, software development agreements, technology reselling, transfer and licensing agreements, internet hosting and e-commerce agreements, distribution and representative agreements, confidentiality and non-competition agreements, employment and consulting agreements. Alexandra aims to deliver innovative and commercial astute legal advice, with a service level that is accessible, prompt, effective and at a reasonable cost. In the 1990s, Alexandra worked on both transactional and litigation aspects of business, corporate and commercial law in Singapore with Joseph Hoo Morris & Kumar, a long time general practice firm in Singapore. She also served as legal counsel to the shipyard division of SembCorp Industries Ltd, a publicly listed Singapore conglomerate trading on the Singapore Stock Exchange. Aside from her legal practice, Alexandra has worked with individuals and companies on investments and market development/expansion in U.S. and Canada. Alexandra is also an Attorney-at-law in the State of New York and is associated with the firm of Rosensteel Law in New York City, practicing international, business and technology law. Concordia University business school in Montreal, Canada where she graduated with an MBA (2004 Masters in Business Administration) in finance, business valuations and organizational and strategic consulting. Aside from her legal practice, Alexandra has consulted with investors and businesses in real estate, solution-provision, distribution and tourism industries. "... Legal Services for the High-Tech, High-Paced, Global Marketplace"
Rosensteel Law is a full-service law firm. Through an organized team of attorneys and professionals, and a well established network of correspondent law firms overseas, the firm provides world-wide legal counseling. [in other words] .... a full-service law firm specializing in servicing technology oriented companies and individuals. She also advises clients with their personal planning needs, including advising on and wills, powers of attorney and representation agreements. Prior to joining Wilson Rasmussen LLP, Arash practiced with a mid-sized firm in Calgary and a firm in Abbotsford, with a focus on real estate and corporate commercial law. Standing in front of King County District Court Bellvue Division, near Seattle, where he has just represented a client as a Washington State Bar Attorney. 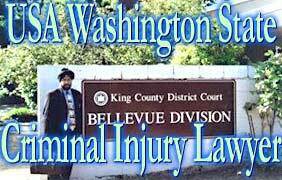 Downtown Vancouver Criminal Defense & Prison Law Lawyer. The Marine Building 1000-355 Burrard St.
Professional and Risk Management Services in Canada and the United States. Our clients include the legal industry, insurance companies, transportation industries, government agencies, and major corporations. To ensure defense receives full disclosure of evidence. Duncan Investigations was founded in 1989 by Janie Duncan. We are a full service investigation firm providing both public and private investigation services for local, regional, national, and international clients. We are fully bonded and licensed with the Government of Manitoba Law Enforcement Services, and Memberships with the National Association of Investigation Specialists, Association in Defense of the Wrongfully Convicted, and Association of Certified Fraud Examiners. By Janie A. Duncan, P.I. The case of Ferenczy vs. MCI Medical Clinics, a decision rendered in the Ontario Superior Court by Justice Dawson will greatly limit the force of the new federal privacy law as it relates to private investigators. This case involves a patient named D. Ferenczy. She sued her doctor for professional negligence in the diagnosis and the treatment of a cyst located on the inner part of her left wrist. The procedure was carried out on February 17, 1999. The plaintiff, D. Ferenczy, claimed that as a result of the failed procedure, she was unable to hold small items for a long period of time with her left hand. She further claimed that she was unable to work, and she subsequently claimed she suffered a loss of income. The defendant, the doctor, disputed her claim. A private investigator was retained by the Canadian Medical Protective Association. This association provides defense assistance to physicians who are being sued for medical malpractice claims. The private investigator conducted a surveillance on Ms. Ferenczy and collected an eight minute video surveillance footage of Ms. Ferenczy holding a coffee cup at a coffee shop without any visible signs of physical impairment. This investigation was carried out without the knowledge and consent of Ms. Ferenczy. Whether or not the video tape could be admitted as evidence against Ms. Ferenczy as the Counsel for Ms. Denise Ferenczy argued that the taking of the video and its disclosure contravened the Personal Information and Protection of Electronics Act [PIPEDA], and therefore submitted the evidence rendered be inadmissible. The court ruled that the PIPEDA applies to personal information that is collected and disclosed for "commercial purposes", and that defending a liability claim is not considered a commercial activity but that the collection of the information is being used for the purposes of defending the doctor in a civil lawsuit. The court also ruled that the collection, use, and disclosure of the videotape would not contravene the PIPEDA on the basis that private investigators are acting as agents for their clients, and furthermore, Ms. Ferenczy implicitly consented to the collection of the videotape evidence when she filed action against the Defendant. Justice Dawson further ruled that the collection of the videotape is related to the investigation of a claim, and therefore ruled the videotape evidence admissible. Janie Duncan is a licensed private investigator and founder of www.duncaninvestigations.com a licensed & bonded private investigation agency that has served clients throughout Canada. Licensed to practice in both BC and Washington State law courts in criminal defence · cross-border car accidents · DUI / DWI · personal injury · criminal law cases including: aggravated assault, attempted murder, criminal negligence charges. Injured in a car accident? Feeling alone? Unsure what to do? ICBC is interested in giving you as little as possible. ICBC does not represent your interests once you are hurt in an accident and will pressure you into taking an unjust settlement. You need someone on your side to ensure your rights are respected and you get a fair settlement. For more than twenty-five years, Vancouver personal injury lawyer Z. Philip Wiseman has been helping clients get the compensation they deserve. Phil Wiseman and his team have the experience to help you . We offer services in many languages, including English, Cantonese, Mandarin, Polish, Vietnamese, and Korean. Don't let someone else's negligence ruin your life. Before you call ICBC, call us to book a free consultation. Remember, we don't get paid unless you do. Jeffrey Lowe B.Comm., LLB Vancouver BC Canada Business Immigration Lawyer with 26 years experience. Copyright © 2005 Lawyers-BC.com Services Ltd.